Please see below for upcoming Manitoba Ferret Association events: This is a new page starting in 2019. We will post events for members only as well as Public Events. You are welcome to take out a membership and come to the members only event(s). We will also post our public events; Adoption Fair and our annual Spring Frolic and Education Afternoon. 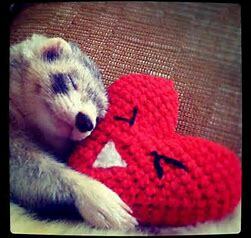 Valentine’s Ferret Party on February 17, 2019. This is a members only event. If you would like to join us; send us an email to manitobaferrets@gmail.com for time and place. You can take out a membership right at the event. Niko says, I found my forever home. Please come and meet some of my friends that are dreaming of their furever home! We are very grateful to Sprockett’s Doggy Day Care for providing the space to set up our adoption fair. You will be able to meet Molly, Storm, Gracie, Coco Puffs, Flash, Buddy and Opie. Please read our Adoption Process before attending. Serious inquiries please! We are hosting the Spring Frolic for the first time in an indoor venue. Ferrets can not handle hot temperatures. Our weather is so uncertain in May/June that for the safety of everyone’s ferrets we are going with an indoor venue. We will still have our Great Tube Race, our Sail Boat Race, Best Shoulder Rider plus a few more games as well. 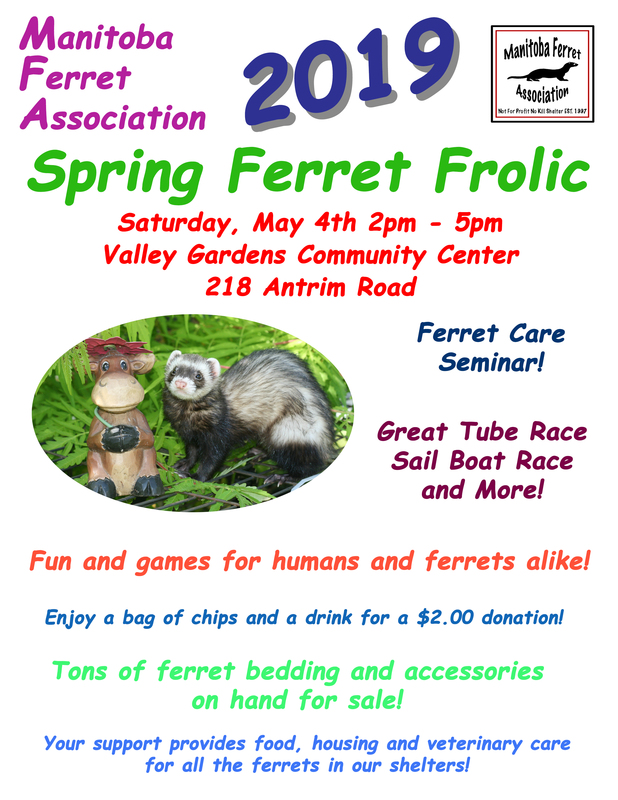 We will have a 20 minute talk on caring for your ferret, proper food choices, safe litter and general health information. 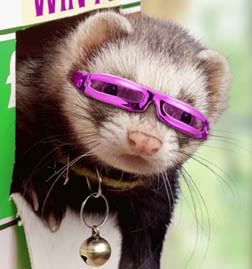 You will be able to take out a membership to help support the many many permanent ferrets living out their lives in the shelter. We will have a great supply of our homemade bedding ($25.00 to $35.00 ea), an assortment of harnesses and leashes, and some other products for sale. CASH ONLY. 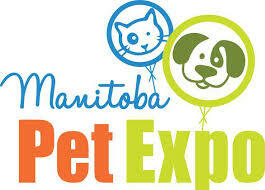 We attend and support the Manitoba Pet Expo each year. We will have a small selection of bedding and other assorted items for sale. 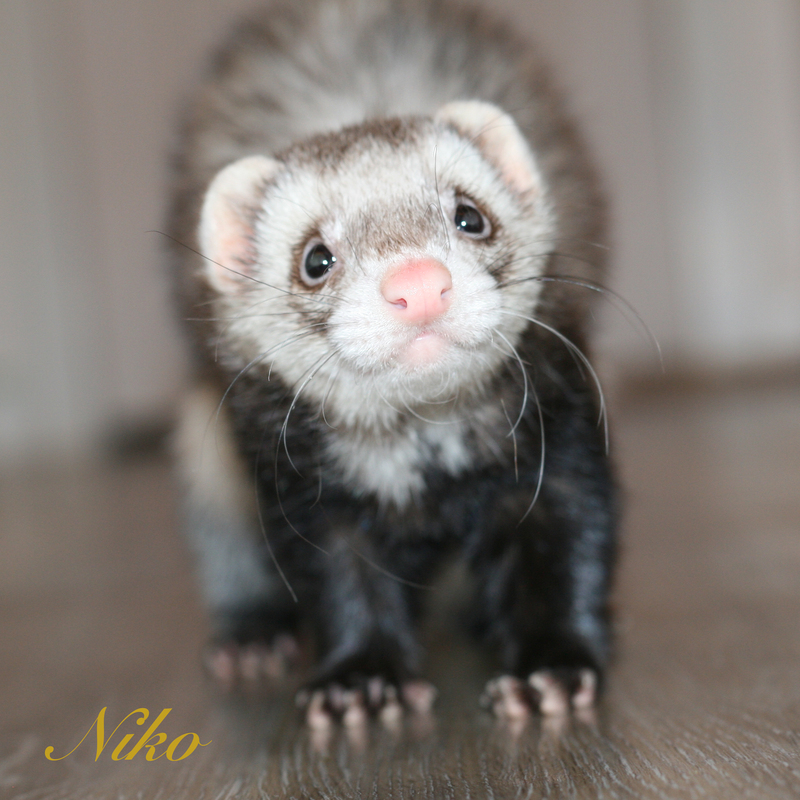 We also bring ferrets along and would love to share with you how to care for a ferret.